Let’s face it, every home has it’s own story with memories created under a roof. They are there before we move in and will continue after we move out. Every home is special, and when it is put on the market, it’s best to make it shine like those favorite memories. Just like wearing a beautiful gown to a wedding or dressing up for a special occasion. This is the moment where a home should sparkle, inside and out. Like little orphan Annie said, it should shine, “Like the top of the Chrysler Building”! 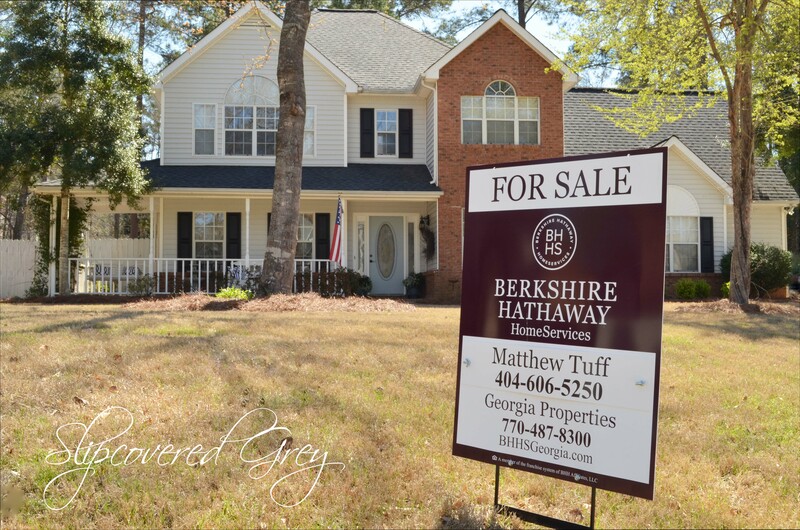 In this series I am going to share with you how I got my home ready to sell. I hope it helps you if, and when, you decide to sell. 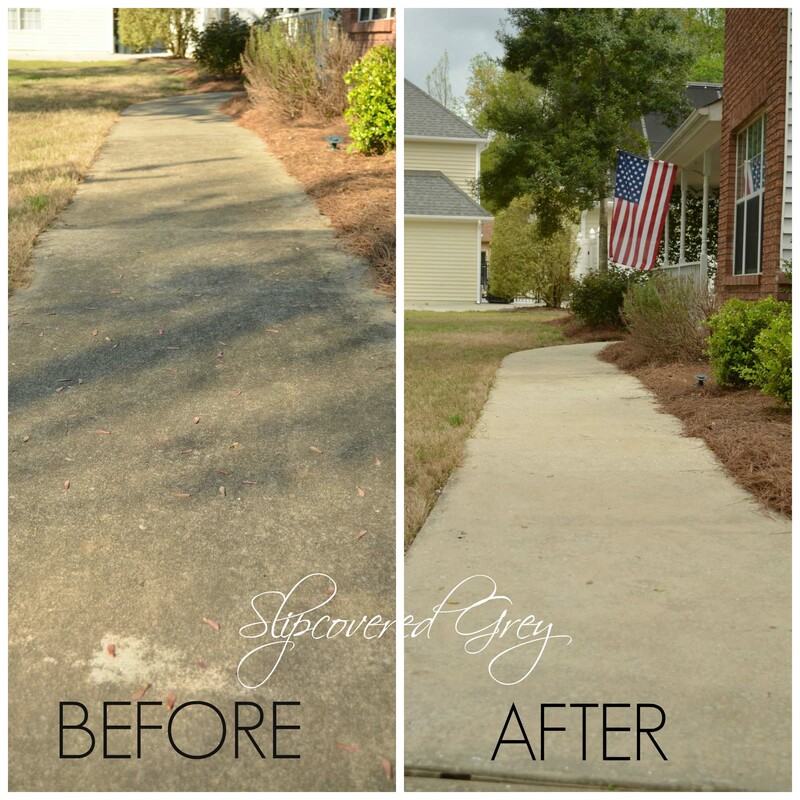 We’ve heard about curb appeal and how important it is. Well, here it definitely is! We want potential buyers to drive by… and stay awhile. We want them to look… imagine, and think… hmmm… I wonder what it’s like inside? This is why I recommend pressure washing. It’s amazing the dirt and grime we live with every day. and the concrete we continuously walk and drive our cars on. 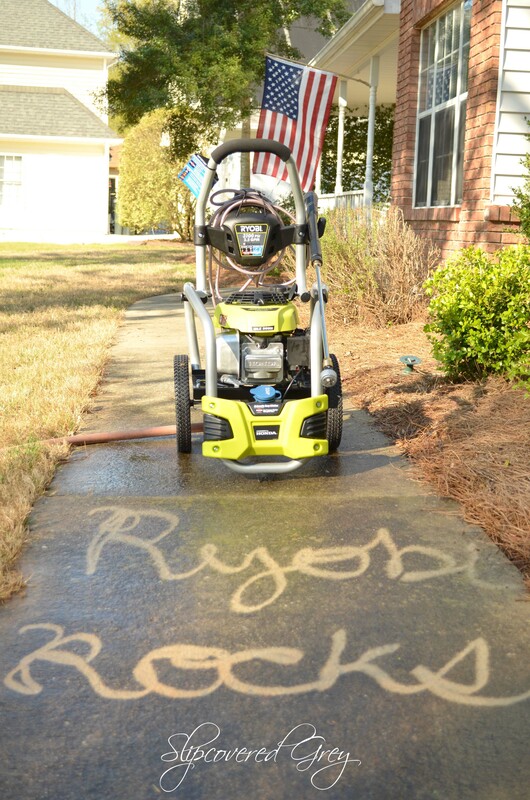 This is where the Ryobi 3100PSI Power Pressure Washer saves the day. 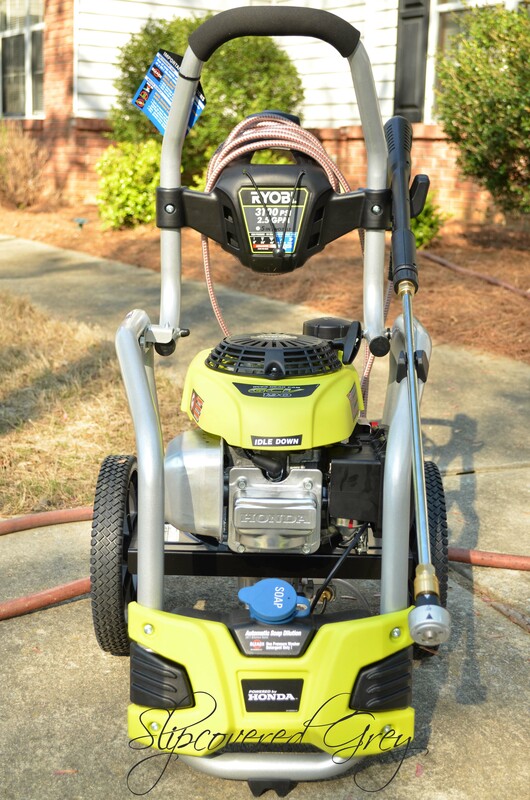 I really enjoy the fact that Ryobi’s Pressure Washer is super easy to start. It says “easy start” right by the starter grip and rope. 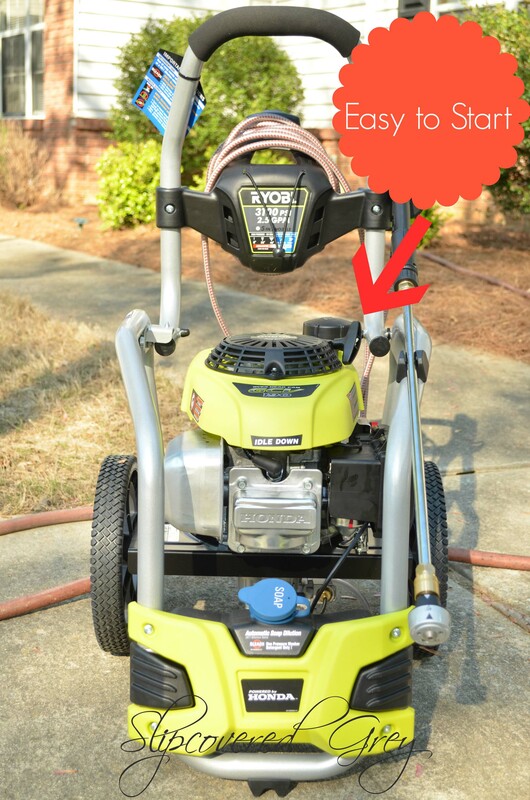 I got nervous knowing the history with my mower (not Ryobi). With one pull, I had this pretty incredible machine running. Now, this is a little embarrassing. My concrete was extremely dirty… pretty bad. I didn’t realize how dirty until I decided to have a little fun with the pressure washer. I wanted to see how it could cut through dirt. it definitely does the job – quickly I might add. Now I know why pressure washing is an addiction. The dirt disappears like an eraser to chalk on a chalkboard. always remember to follow good safety measures. protective eyewear, shoes, pants, and gloves are a must. as well as siding on my home. 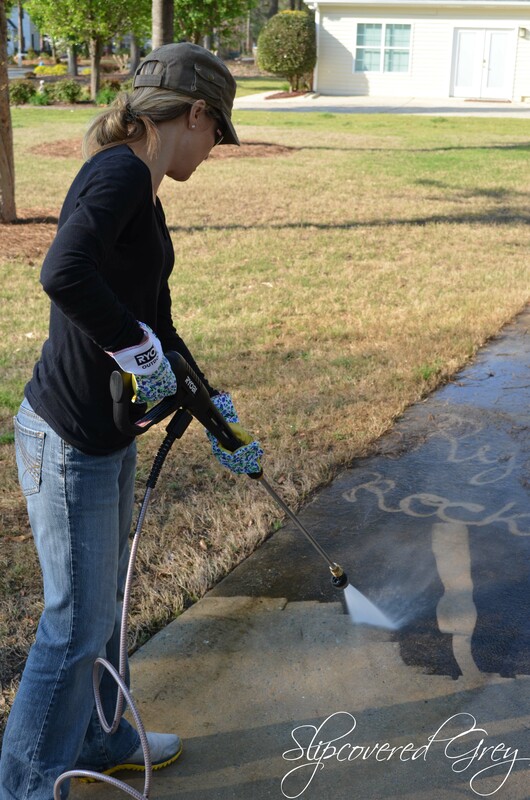 See what I mean… I’m a Pressure Washing Addict! Pressure washing is a must. but also every Spring so our homes can shine with great curb appeal year after year. 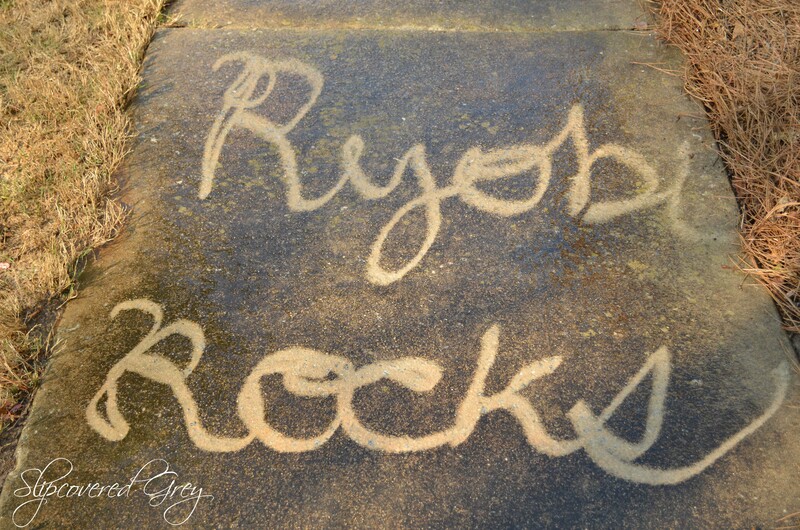 get out there and grab your pressure washer and make your home sparkle too. After you’ve pressure washed, head back here. of “How I Got My Home Ready to Sell“. …and how you can too! This is amazing! 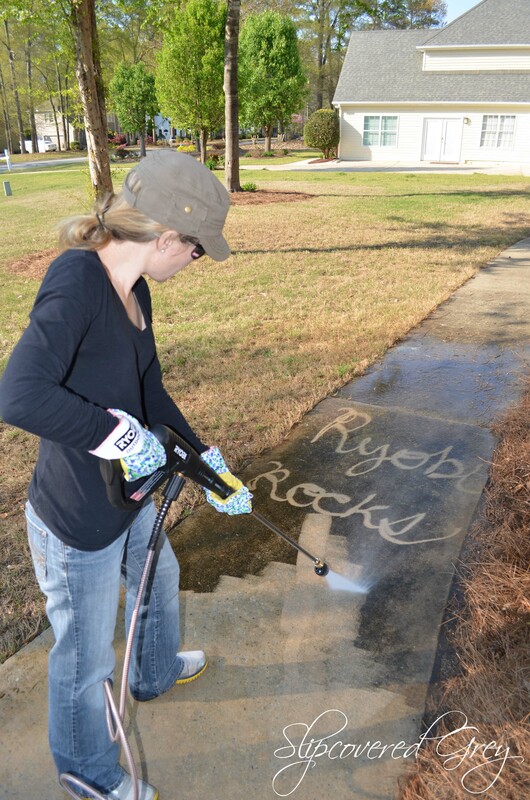 Wow, I agree, “Ryobi Rocks”! You’re right, getting a home ready to sell includes so many things that often go overlooked! Love your clean sidewalk- very welcoming! Oh wow!! You make me want one! Oh–wait–I already have one. HAHA. 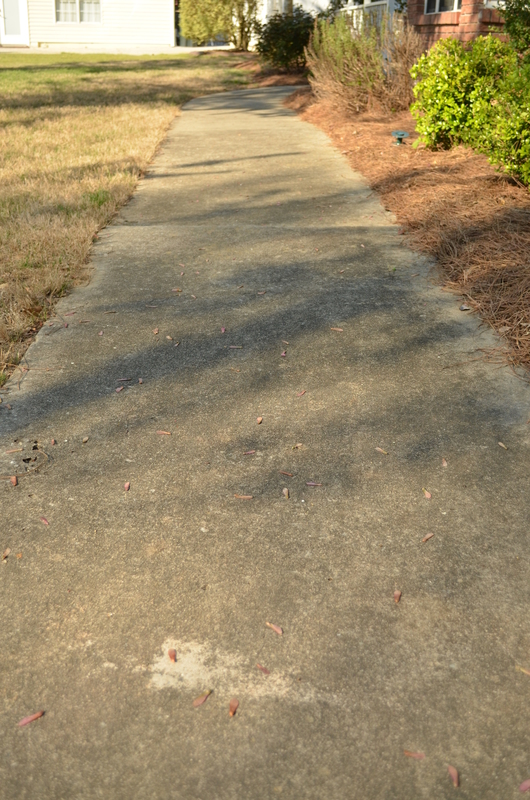 And you just reminded me that I need to do my walkway, too! It’s amazing what we miss on the outside when trying to sell our house, or even just making it look good. Once you blast that dirt, you see what you’ve been overlooking everyday. It’s amazing the difference! Good luck with the sale!